Founded in 1646 and known as "the Whaling City," New London has played an important role in American history since Colonial days. Its natural harbor at the mouth of the Thames River connects the city to the sea. 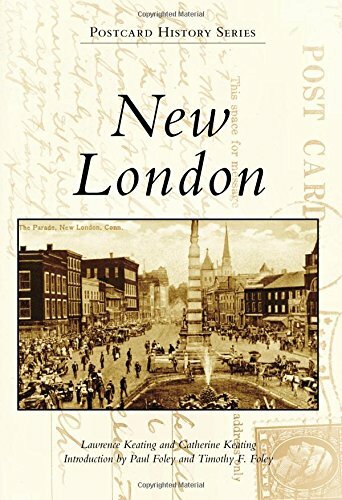 Around the turn of the 20th century, New London flourished as the hub of southeastern Connecticut. With roots as one of the main ports for the whaling industry, the city became home to a wealthy summer resort called the Pequot Colony. Over the years, dramatic changes occurred as a result of natural disasters, such as the 1938 hurricane, and man-made changes, such as the 1960s redevelopment project. Historical postcards offer a glimpse into bustling city life during this exciting time. If you have any questions about this product by Arcadia Publishing, contact us by completing and submitting the form below. If you are looking for a specif part number, please include it with your message.